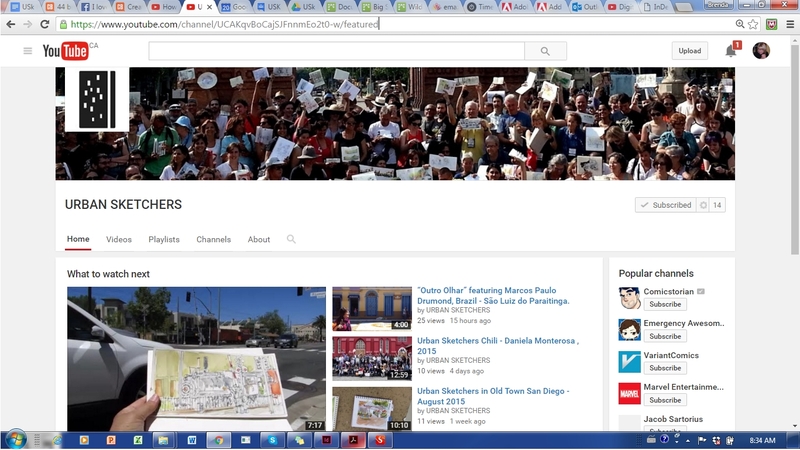 Urban Sketchers now has its own official Youtube Channel! The link for the channel is https://www.youtube.com/channel/UCAKqvBoCajSJFnnmEo2t0-w/featured. Urban Sketchers, the official Youtube channel of the Urban Sketchers organization, broadcasts videos about USk-official workshops, symposiums, sketchcrawls, news and events; shares videos of official USk chapters; and educates viewers about the practice of on-location sketching. If you are creating videos of urban sketching that meet this criteria and would like to contribute to our shiny new channel, please contact the USk Youtube Coordinator Lydia Velarde at crzing@cox.net.